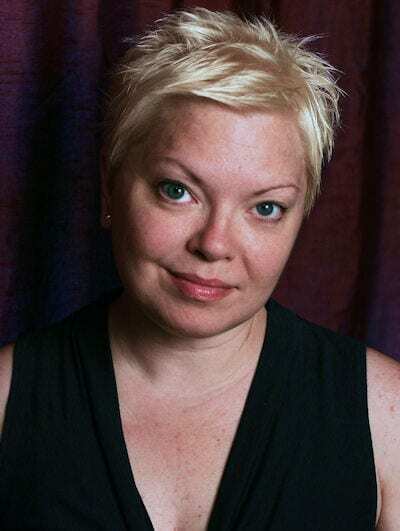 Nicole Wolverton is the author of the upcoming psychology thriller, The Trajectory of Dreams (Bitingduck Press, March 2013). Her short stories and flash fiction have appeared in Black Heart Magazine, The Molotov Cocktail, and Penduline, among others (full publication listing). In addition to writing fiction, Wolverton is founder and managing editor of Farm to Philly, a website devoted to locally grown foods and sustainable living. She resides in the Philadelphia, Pennsylvania area with her husband and small cadre of pets. Nicole Wolverton fears many things, chief amongst them that something lurks in the dark. From ghosts to stalkers, her adult and young adult fiction plays on the mundane and not-so-mundane things that frighten us all. Her debut novel, The Trajectory of Dreams, is an adult psychological thriller forthcoming in March 2013 from Bitingduck Press. Her short stories and flash fiction have appeared in Black Heart Magazine, The Molotov Cocktail, and Penduline, among others (full publication listing). She also moderates 5 Minute Fiction, a weekly international flash fiction challenge. Wolverton, a freelance writer and nonprofit fundraising consultant, was born in Berwick, Pennsylvania. She resides in the Philadelphia area with her husband and small cadre of pets. She attended Temple University and earned a certificate in grant writing from The Grantsmanship Center. Through her grant writing and development work with local and national nonprofits, she has raised millions of dollars benefiting a wide range of medical and human service organizations, including those that focus on reproductive choice and the environment. Before launching careers in fundraising and creative writing, Wolverton wrote for The Press-Enterprise newspaper in Bloomsburg, PA. Her articles have also appeared on the National Geographic and San Francisco Gate websites. When Nicole isn’t writing, you can find her on the Schuylkill River paddling with the Philadelphia Flying Phoenix women’s dragon boat team, sky diving over New Jersey, or digging around in her gardens. She is founder and managing editor of Farm to Philly, a website focused on eating locally grown foods and sustainable living. Wolverton has been featured for her work with Farm to Philly in GRID Magazine, Slashfood, Philly Homegrown, and various other food-related websites. Visit Wolverton’s website at www.nicolewolverton.com.